Enjoy confident grip with a tread that features extra biting edges for ice and snow. 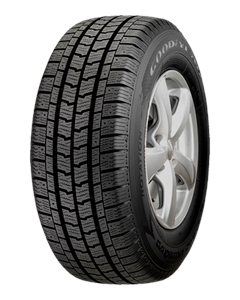 The winter rubber compound stays flexible in cold. With the Cargo UltraGrip 2’s noise-reducing tread pattern, journeys are quieter and more comfortable. Directional tread grooves quickly shed water, reducing the risk of aquaplaning on rain-soaked or thawing roads. The Cargo UltraGrip 2 has an all-steel carcass based on UniSteel technology, which increases its load-carrying capacity. Sorry, we currently do not have any tyres with the Cargo Ultragrip 2 pattern in stock.